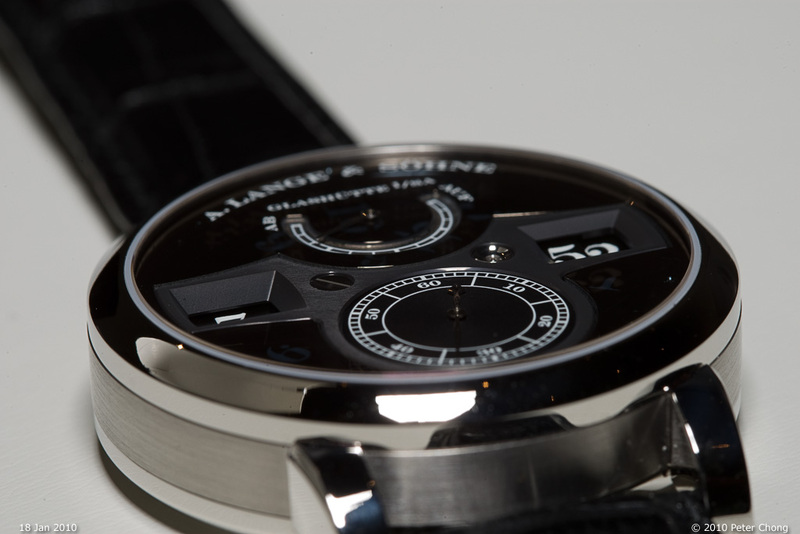 The timebridge is now anodized in black finish, to match rather than contrast the darkened sapphire crystal dial. 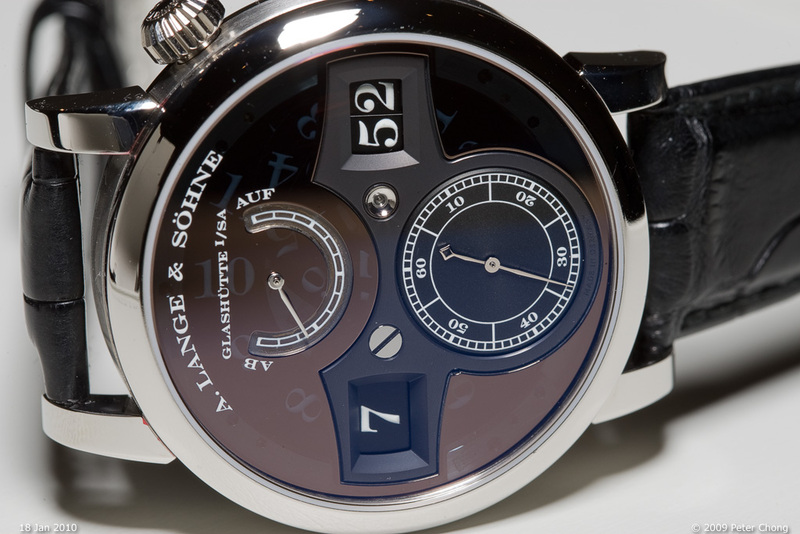 The watch looks dark, brooding, and menacing...I just love the peek-a-boo disks below the dark dial. 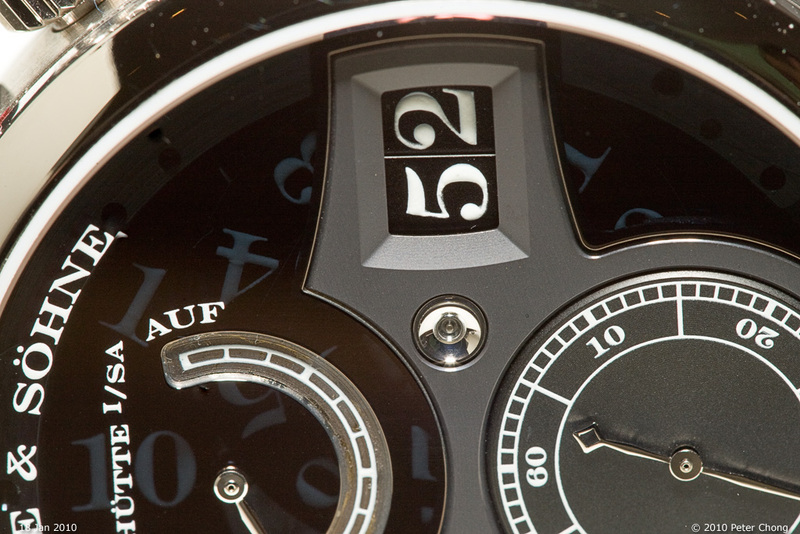 The sapphire dial is an ingenious solution to allow the superluminova paint of the numerals to charge up while waiting for their turn to show up under the dial cutout. The time is clear, very legible, and the glow is quite strong. 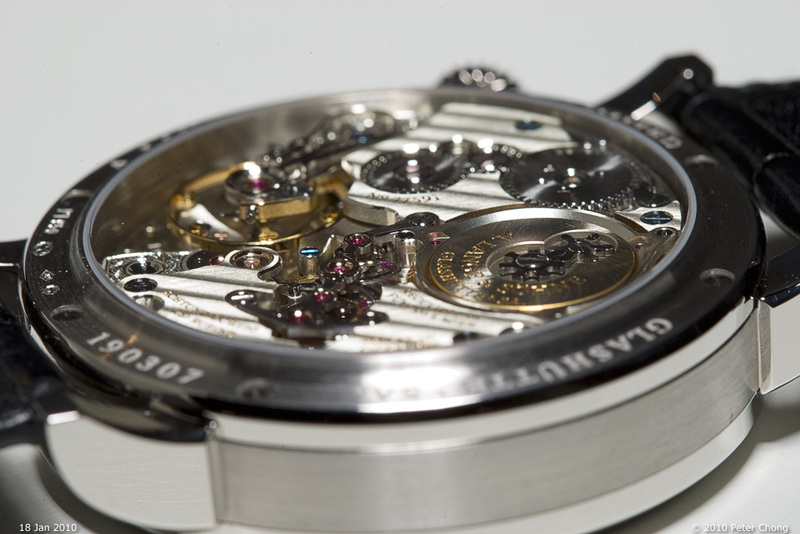 Movement is standard Zeitwerk, and shows characteristic finish.